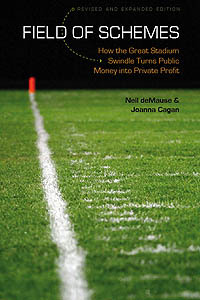 An examination of the fund’s public financial records and interviews with community members and a former administrator of the fund show that it has operated with little oversight or public accountability, neglecting those who live near the stadium and instead sending money to other, often wealthier parts of the Bronx that were not affected by the construction. Of the $6.8 million distributed by the fund between 2008 and 2015, the last year for which records are available, only 30 percent — $2 million — went to charities occupying the same ZIP code as Yankee Stadium or four bordering ZIP codes. The best way to get money from the Yankees’ community fund, it appears, was not to be in the Yankee Stadium neighborhood that had just lost its central park space for multiple years to make way for construction of the team’s new stadium, but rather to have friends on the charity’s board: the New York Botanical Garden, which has fund chair Serafin Mariel (the same guy who was sued in 2009 over misappropriation of funds) on its board, got $20,000, and the Bronx CUNY Scholarship Fund which Mariel co-founded, got $60,000. And the organization’s annual reports have never been publicly released, going only to the Yankees, who won’t share them. Oh, and the Yankees claim 15,000 tickets a year as an “in-kind donation,” but don’t say who they’re given to. So who’s to blame for this? The Yankees owners, for setting up a Potemkin charity just so that the city council could claim that the stadium would be good for the South Bronx before voting for it almost unanimously? Or the Bronx pols who turn every policy decision into a way to funnel money to their political donors? That’d both, I’d say, since one hand nicely washed the other here. It’s yet another reminder of the dangers of community benefits agreements — and that if you must do a CBA, for god’s sake, at least have the city government be a signatory to it, so that there’s some opportunity for oversight. Because letting a sports team owner claim credit for doing good works on the grounds of “don’t worry, I’m good for it” is a recipe for disaster. The area lost more than 25 acres of parkland after the Bronx Bombers in 2005 were greenlighted to build their new ballpark. At the time, then-Mayor Michael Bloomberg, Gov. George Pataki and the Yankees promised to eventually create more parkland than was lost. But only about 21 acres of new green space has been delivered. The [city-run Economic Development Corporation] said it is considering acquiring a 2.5-acre lot, five blocks south of Mill Pond Park on East 144th Street, to build another park there. There is a slim chance that all this would be illegal, thanks to the fact that the old parkland was decommissioned on the condition that equal new park space be created. As we’ve seen before, though, the laws surrounding parks alienation are pretty weak beyond “enh, whatever the city council and legislature decides is probably fine,” so this is likely to come down to how big a fight council speaker Melissa Mark-Viverito wants to pick with Mayor Bill de Blasio. And either way, all the parkland still hasn’t been replaced, 11 years after it was obliterated. It’s just a win-win for everybody! In April, they will join this budding ballpark trend, unveiling what owner Hal Steinbrenner described as more “family friendly” and “socially oriented” spaces at Yankee Stadium. Those spaces include play areas for young children and different vantage points for ticket holders to mingle and, most important, take pictures, videos and selfies they can share on social media. The Yankees declined to say how much they have spent on the project, but, for other teams, it has ranged between $10 million and $60 million. The actual changes are what we reported on here back in October: finally removing those notorious obstructed-view bleacher seats, adding some more places to drink alcohol and eat “specialty food,” and adding a “SunRun Kids’ Clubhouse” on the third level in right field that Steinbrenner said is meant to make “our youngest fans to feel as if Yankee Stadium is an extension of their local park or backyard.” If their backyard were on the third story of a giant shopping mall, indoors, and contained a six-foot replica World Series trophy to climb on. What all this has to do with taking selfies isn’t clear, though I suppose people drinking at Yankee-themed bars are more likely to do that than to actually watch the game. Go read ESPN’s full report if you’re interested, as it also has info on what teams like the Cleveland Indians and Colorado Rockies have done in a similar vein, and throws around terms like “FOMO” and “FOBO,” so you can learn to talk like marketing executives think young people do. Three other lounge and patio areas will also be built. All the additions will be open to all ticket-holders. The team also said it would make available about 2,500 seats per game at $15 or less. This wouldn’t normally be big news — offering some discounted seats and additional amenities is common for a team seeking to boost attendance during a rebuilding phase on the field — except that it’s the Yankees, who have traditionally stuck to the line that such niceties as entertainment areas and being able to see the game from your seat are amenities that are beneath them. (The last major change at the stadium prior to this was to remove seats and add tables for rich fans to rest their beers on.) There was no immediate clarification as to which seats will be available for $15 (I wouldn’t hold your breath about “for less”), but at least some of the crappiest views will now come without quite such crappy price tags. The Steinbrenners will presumably be paying for the renovations out of their own pockets, though again given that it’s the Yankees, we can’t entirely rule out them somehow trying to wheedle a tax break of some kind out of this. More news if and when it becomes available. Like everyone else on the planet with a mortgage, the New York Yankees owners are looking around at record-low interest rates and considering refinancing, in their case on their stadium debt. The twist here is that it’s not actually their debt — in order to take advantage of an IRS tax dodge, the team had the city Industrial Development Agency issue bonds and pays them off with rent payments labeled “payments in lieu of taxes” — so they’d need the city to reissue the debt to take advantage of lower interest rates. That could actually be tricky, since the IRS loophole was partly closed several years ago: Any new bonds would have to be paid back based on the actual year-to-year property taxes that the stadium would be paying if it paid taxes, not based on an annual flat fee. That would likely mean somewhat higher interest rates since bondholders like certainty in their bond payments, and could wipe out any benefit from a refi. Also, there’s a new mayor since the original stadium deal was put in place, one who might not rubber-stamp a new bond deal quite so quickly, at least not unless the Yankees, say, turn some of their unused parking garages into affordable housing that isn’t necessarily all that affordable. The Yanks are roughly breaking even now. That’s just the team and doesn’t include other businesses, such as the YES Network or Legends Hospitality. Now that’s what we expect from a business whose owner once hid profits by paying himself a consulting fee to negotiate his own cable deal. Keep on keeping on, Steinbrenners. The New York Yankees, a team that will be paying $225 million in player payroll this season (just thought I’d mention that, no reason), have agreed to a lease extension with the city of Tampa on their spring-training stadium that will include $30 million in city- and state-financed upgrades. (The Yankees will chip in $4.1 million for improvements to their training complex, and $6.2 million that they’ve already spent on the stadium since 2010, which is a new meaning of “will chip in.”) Planned improvements include new concessions concourses, new sun roofs, and a new “grand entrance” for fans fleeing the watchful gaze of bronze George Steinbrenner. [Hagan] said the deal is a good one for taxpayers. 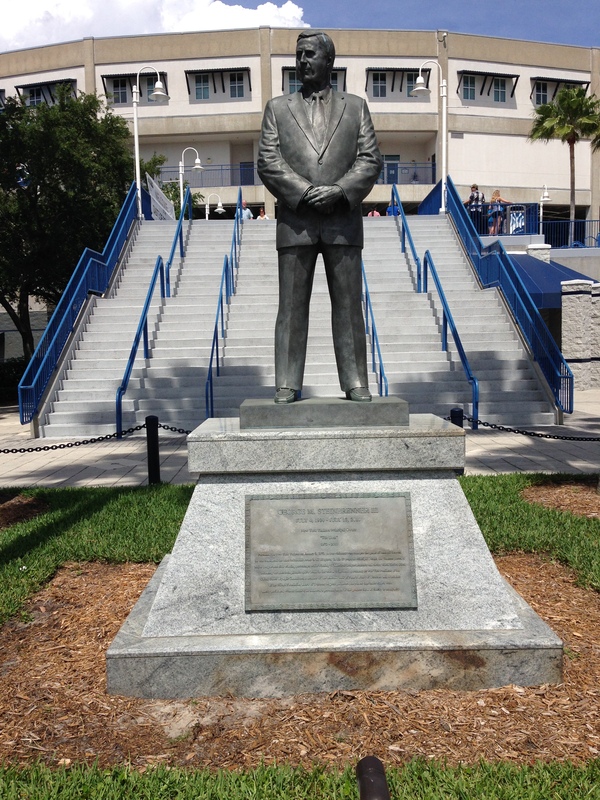 The county, which owns Steinbrenner Field, will receive an additional $8.4 million in lease payments for the extra 20 years of the contract. The improvements to the Yankees’ practice complex will raise its taxable value resulting in more property taxes. And, Hagan said, the continued presence of baseball’s biggest name for spring training will continue to fill local hotels, bars and restaurants with out-of-state visitors. “When you consider all the additional revenue, this is an extremely attractive return on investment, which makes this deal a no-brainer,” Hagan said. First off, $8.4 million over the years 2026 through 2046 is never going to make a dent in $30 million in construction costs right now. The property-tax bump is likewise going to be small; as for the throngs of “out-of-state visitors” allegedly drawn to Tampa in March just to see Yankees spring training games, haven’t we killed that urban legend dead yet? If there are two reasons to care about this, other than just enjoying hating the Steinbrenners for being rich and still being able to get public subsidies whenever they want (assuming the city and county approve the deal, which they haven’t yet), it’s because it’s likely to give another boost to the trend of MLB teams making demands for public upgrades or replacement of not-that-old spring training facilities (Steinbrenner Field was built in 1996), and because it gives us another hint of what Ken Hagan is likely to be like in negotiations for a new stadium for the Tampa Bay Rays. That’s almost certainly going to cost Tampa taxpayers a heck of a lot more than $30 million if it happens, especially if Hagan hauls out rationalizations like these. John Oliver’s stunt to put fans in premium New York Yankees seats who promise to dress like they’ve never been there before — a dig at team COO Lonn Trost, who defended the team’s ticket resale restrictions because sitting next to non-rich folks would be a “frustration to our existing fan base” — ended up more of a costume party, with fans dressed as Ninja Turtles, sharks, unicorns, and dinosaurs ending up seated behind home plate. All things considered, I’ve got to say that this is kind of disappointing. The ostensible goal of this gimmick was to point out the classism behind Trost’s statement: He was implying that if fans could buy good seats for below face value, the ones who’d paid full price would be offended by having to sit next to the hoi polloi. (It’s probable that Trost doesn’t actually believe this, of course; he’s more concerned that if fans can buy seats for below face value, he’ll have a harder time selling them for thousands of dollars a pop.) Instead, it turned into two frat brothers from Villanova putting on cheap dinosaur outfits and sitting behind home plate, which is pretty much like every day at Yankee Stadium, only the dinosaurs the fans are dressing as aren’t wearing number 13. If nothing else, I’d have loved to have seen what happened when they went to sign up for the fingerprint scanning to get a fast pass through security. Yesterday’s Yankees home opener was rained out and rescheduled for today at 1pm. I can’t wait to tune in and see who’s sitting behind the plate, and how long it takes before team security forces whisk them off to a black site, or at least the bleachers. NYCFC, which plays at Yankee Stadium, announced Friday that the team would no longer accept paper tickets, but the policy would be phased in. The change—shockingly—led to chaos at Sunday’s NYCFC game. With NYCFC half owned by the Yankees, I can’t wait to see how they to resolve this by suggesting that fans all get their fingerprints scanned. UPDATE #2: An NYCFC official says the problem wasn’t the print-at-home tickets, which were accepted at all gates, but an eight-minute malfunction with the turnstile scanners that backed up the queues at the peak of pregame entry. Still awaiting word back on what the “verification” process was that had tickets scanned once before fans went through security and once after.